While still a small fair by world standards, the Stockholm Furniture & Lighting Fair is becoming increasingly important as a global trend setter as the designers of the region become more and more sought after. Note Design Studio are just one of a large number of Scandinavian and Nordic designers whose influence has moved well beyond the Arctic Circle. That said, the fair remains delightfully easy to get around and is unburdened by obvious commercialism. Setting aside the cold weather and long distance air travel required to get there, Stockholm Furniture and Lighting Fair is a key event on the annual design calendar. Stockholm Design Week - events outside of the fair itself such as installations and exhibitions - continues to grow each year, making a visit to Stockholm a more rounded experience. Swedish acoustic panel company Baux were awarded Best Stand Award by international design platforms Dezeen, Yatzer, Yellowtrace & IDEAT Magazine. Baux have come up with the goods yet again. Their new ‘Pulp’ panels are the first 100% bio-based acoustic panel. Baux are well known for their innovative acoustic panels incorporating wood shavings and cement but with the help of Swedish design studio Form Us With Love they have gone way beyond colourful acoustic tiles that can be used in pleasing patterns and created the first 100% bio-based acoustical panel, combining high-performance, sound absorption, and modern aesthetics. Baux meeting booths on their stand at Stockholm Furniture & Lighting Fair featuring the various 3-D printed cellulose based Pulp panels. By all accounts this panel is not only an excellent sound absorber, is fire resistant but is also totally biodegradable. Check out their quirky promotional video here its worth the effort! ‘Hommage Grand’ table by Matti Carlson for historical Swedish brand Tre Sekel. Well known Danish furniture brand Fredericia reissued two designs by Danish born designer Jens Risom. Fredericia is the manufacturer of a large number of Borge Mogensen designs from the heyday of Danish modern. Risom who died in 2016 at the age of 100 moved to America in 1942 at the age of 26 and became a well known designer with Knoll International. The ‘A-Chair’ combines a sophisticated but relatively conventional upholstered seat shell with a characterful A-frame style back support that is available in black painted steel, chrome or in oak or walnut. An unusual angular side table called the JR 6500 was also reissued with more to come in the future. Jens Risom’s classic ‘A-Chair ‘ from 1961 revived by Danish brand Fredericia. Avaialble in solid oak, walnut, black lacquered steel or matt chrome. 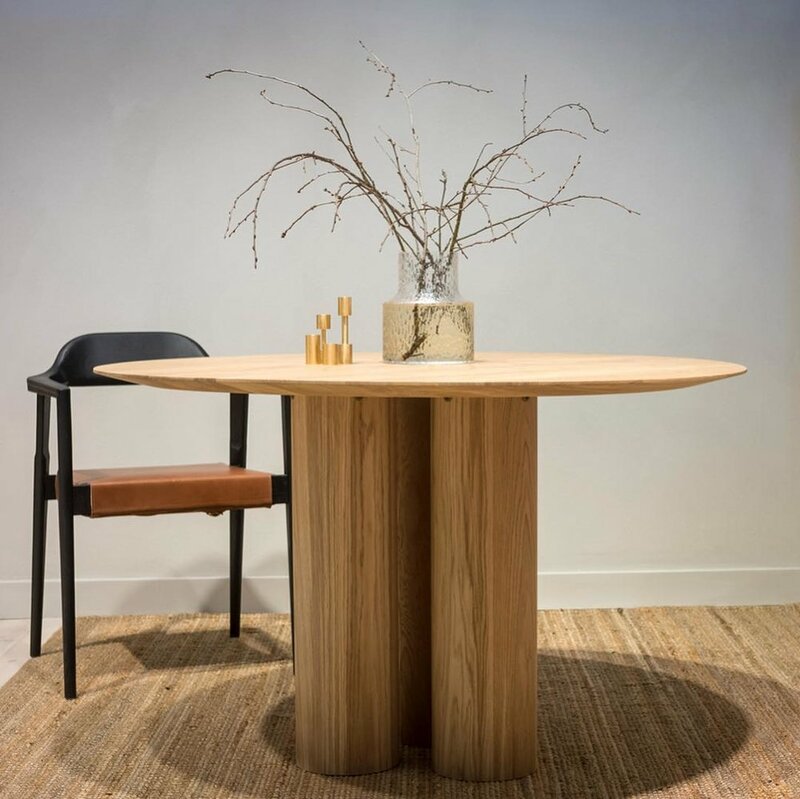 Small Danish brand Frama showed several new products and extensions to existing ranges at an exhibition called 'Spatial Sensibilities' presented in collaboration with architect Andreas Martin-Löf. Shown in the newly renovated home of Martin-Lof, the products were placed carefully to add gravitas and elegance and as a consequence looked as if they were designed to live there. New colours were offered in the brand’s popular ‘Rivet’ side table while a new stool designed by Andreas Martin-Löf and table called ‘Farmhouse Trestle’ added a solid Scandinavian materiality to the brands otherwise minimal look. 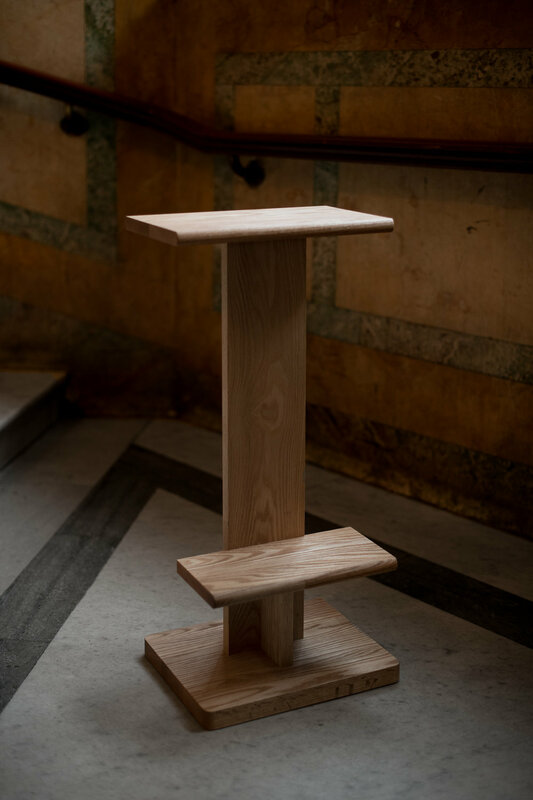 Frama presented 'Spatial Sensibilities' in collaboration with architect Andreas Martin-Löf. Frama’s new ‘A.M.L’ stool is a real beauty. Designed by Frama collaborator architect Andreas Martin-Löf, the stool embodies the simple country feel of Charlotte Perriand stools for Gallerie S. Bensimon but with a chunkier, more chiseled aesthetic. Frama’s popular ‘Rivet’ side tables now come in new colours. Fogia, the brand that can do no wrong, continued to delight with a number of new designs across the seating shelving and side tables categories. Their new freestanding shelving system by Main called ‘Bond’ combines delicate turned uprights and floating shelf planes. Fogia released a new freestanding and wall mounted shelving system called ‘Bond’ that combines delicate turned uprights and floating shelf planes. 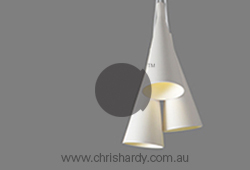 Various configurations are available including wall mounted asymmetric options. The Fogia ‘Utility’ pouf features a strong rocket fin motif in the base but this fifties look is tempered by the use of solid wood and soft mushroom-shaped upholstery. Fogia’s new ‘NIche’ armchair by Andreas Engesvik in white boucle fabric was a big hit as it offers many of the qualities of the popular Danish classic the ‘TIred Man chair’ by Flemming Lassen but in a rounded, compact form. Fifth generation Danish brand Brdr. Krüger has collaborated with several of its long-term design partners, OEO Studio, Studio David Thulstrup and Rasmus Bækkel Fex to create a range of chairs and tables, a sofa and bar stool. OEO Studio have created ‘JARI’, a collection of dining chairs and tables, that bring the shared cultural values of Japanese and Danish design. The proportions are slightly finer than mid-century Scandinavian designs but the influence is definitely there. 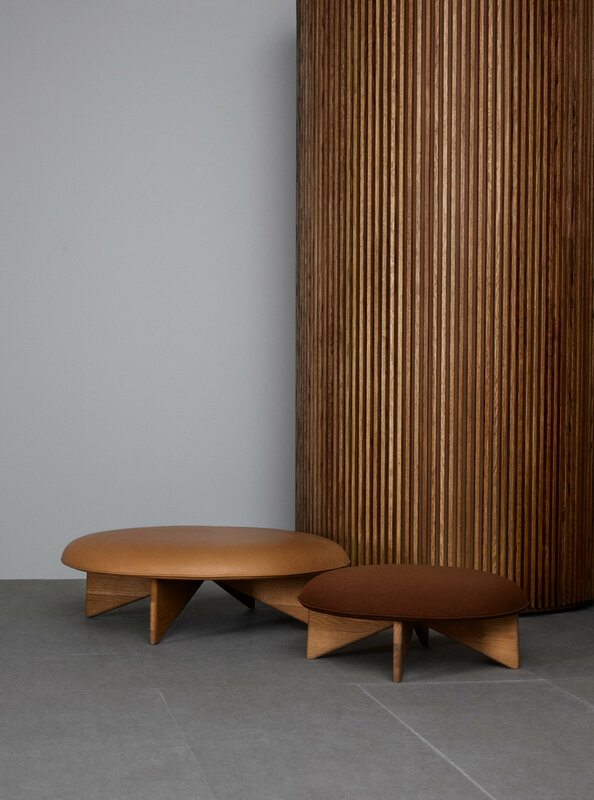 The ‘Karm’ sofa by Studio David Thulstrup is constructed in solid oak with visible square peg detailing on the sides where the base and side panels meet. The ‘F’ chair by Rasmus Bækkel Fex has been out since mid 2017 but the collection remained a key focus of the brand’s presentation at Stockholm Furniture & Lighting Fair as a version with arms was added. &Tradition released the ‘Betty’ chair by Finnish designer Sami Kallio and Danish designer Jakob Thau. The designers set out to create a simple utilitarian stacking chair with the comfort that a webbed seat provides. The chair comes in three colours - a Bauhaus style dark red (shown), black and Twilight - a particular shade of inky blue. &Tradition’s ‘Betty’ chair by Finnish designer Sami Kallio and Danish designer Jakob Thau. The Fritz Hansen stand featured new colours of Arne Jacobsen’s ‘Drop’ chair and a new black version of the ‘Tree’ coatstand. Design daily is still not convinced that releasing Jacobsen’s ‘Drop’ chair in lemon, pink and pale blue plastic is a good idea. The famous chair from 1958 is traditionally seen in cognac or black leather and chrome - a palette that fits within the classic Danish aesthetic. I guess that’s precisely why Fritz Hansen has done this - to appeal to a different, perhaps younger audience…. but does it really work with the rest of the brand and its design icons? The new colours available in Arne Jacobsen’s ‘Drop’ chair from 1958. 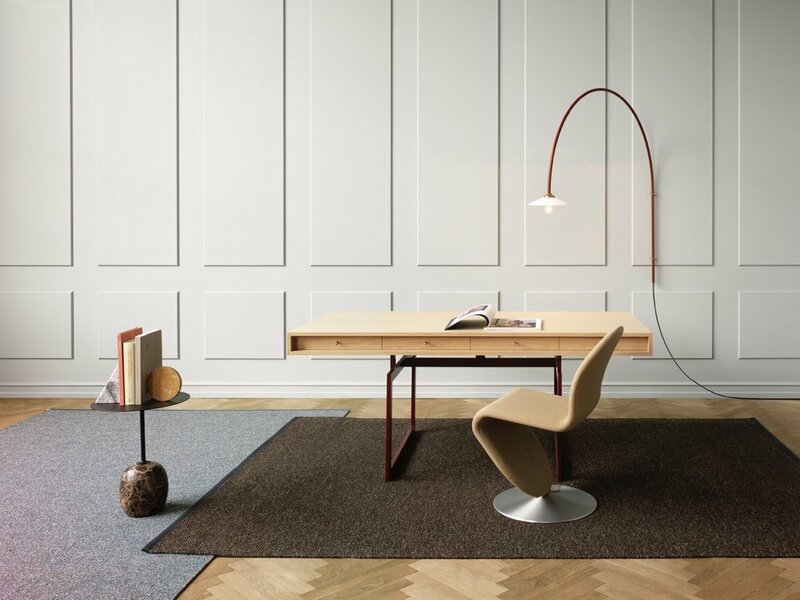 Austrian brand, Gerbrüder Thonet Vienna, showed for the first time at Stockholm Furniture & Lighting Fair - a clear sign that times are changing and the Nordic fair is becoming increasingly important. Other well known international brands like Pedrali and Stellar Works have also been drawn to this small but highly credible design event. The Gerbrüder Thonet Vienna stand at Stockholm Furniture & Lighting Fair 2019. This year’s guest of honour were Chinese designers Lyndon Neri and Rossana Hu of Neri&Hu. Acting as the centrepiece of the fair, the Unfolding Village took the form of a long structure made of vertical slats of blackened timber. Inspired by the narrow alleyways found in Chinese villages the overall generic house-shaped structure used pentagon-shaped rooms on each side to create the impression of alleyways between smaller buildings. The overall effect was exceptionally beautiful a provided a strong feeling of ‘Old China’ - a thing which is rapidly becoming a mere memory due to the rapid rate of change in this country. Neri &Hu were the Guests of Honor at this year’s Stockholm Furniture & Lighting Fair. Their stand was definitely a stand out! Bolon’s stand at this year’s Stockholm Furniture & Lighting Fair featured acres of plum coloured walls to tie in with the imagery for their new Diversity collection. Swedish brand Bolon are now known the world over as one of the leaders in quality man-made flooring and this year the brand celebrate 70 years. The company, led by sisters Marie and Annika Eklund, has continually pushed the envelope when it comes to the brand’s imagery, so when a new collection called Diversity was created to align with the anniversary celebrations a new photo shoot was set in motion and the results are beautifully theatrical. 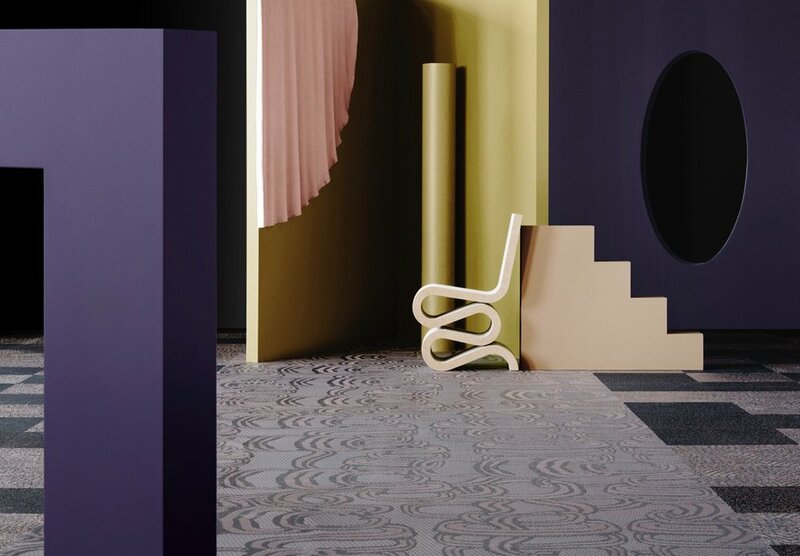 Beautiful imagery for Bolon’s new Diversity flooring collection. Imagery for the new Diversity range from Bolon. The new ‘Laveri’ bench by Ulla Koskinen for Woodnotes. Finish brand Nikari produce beautiful highly crafted timber furniture. This year NIkari released a delightfully understated chair called ‘Akademia’ by Kaksikko Wesley Walters & Salla Luhtasela. Wesley Walters and Luhtasela studied Finnish chair manufacturing heritage, Shaker style and traditional Japanese furniture and created a design that incorporates subtle elements of all three. ‘Akademia’ chair by Kaksikko Wesley Walters & Salla Luhtasela for Nikari. Photograph by Studio Chikako Harada. Inspired by flowers, Sofie Refer the principle designer for Danish brand Nuura has designed a new chandelier collection called Apiales.‎ The two chandeliers are available with 9 or 18 mouth-blown glass globes and are available in a brushed brass finish or satin black (as shown below).‎ The multiple arms unfold like flower stalks culminating in full, round blossoms of light.‎ Apiales 18, with its 90 cm diameter is a striking feature light for stair voids and large open spaces. Danish brand Nuura released their new chandelier called by Apailes. 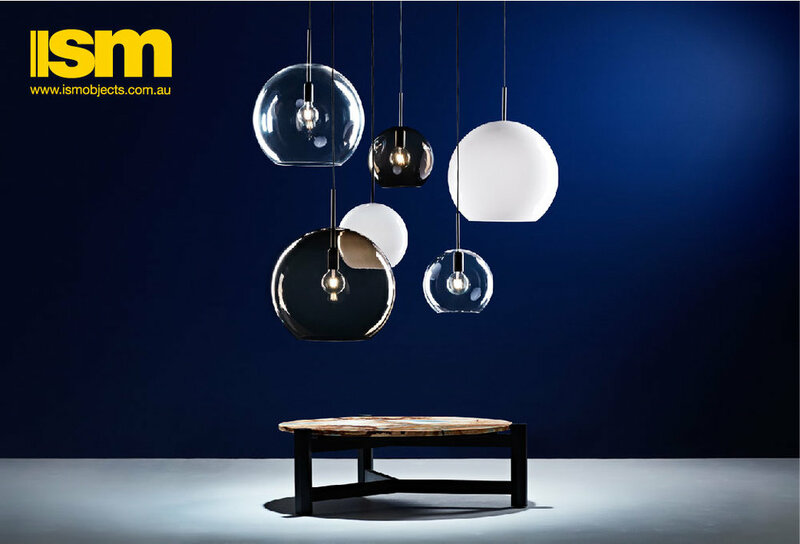 Designed by Sofie Refer the light is available with 9 or 18 mouth-blown spherical globes - in brass or satin black. By contrast Swedish lighting brand Pholc has developed a linear chandelier called Bounce 169 that while utilising spherical glass balls combines arches in a tantalising way. 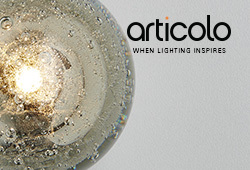 The new ‘Bounce 169’ pendant by Monica Mulder for Pholc. Super-cool Danish brand Friends & Founders released two new chairs at Stockholm - the ‘Novel’ armchair and the ‘FF’ chair, both by the brand’s founders Rasmus and Ida Linea Hildebrand. The brand’s reductive principles are followed in both cases with ‘Novel’ using slab-like construction covered in minimal upholstery, while ‘FF’ is a bare tubular steel design with fine upholstered seat. The contrast edge detail found on the ‘Novel’ chair gives it something of a de stijl vibe. Friends & Founders new ‘Novel’ armchair shown with the ‘Pond’ side table. Friends & Founders ‘FF’ chair in chrome. New products from Menu included a sofa collection called ‘Tearoom’ that includes the ‘Tearoom’ arcmchair shown below. Low to the floor, open armed and inviting, the collection shows a new, more mature side of Menu, a brand known for its youthful, affordable designs. 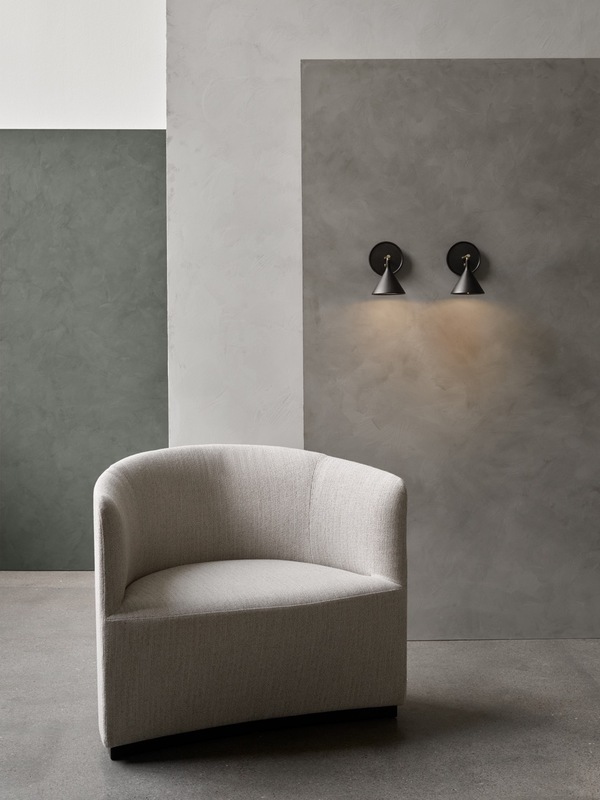 ‘Tearoom’ armchair with the new cast sconce in the background. The ‘Harbour’ side/dining chair is a new addition to that enduring collection. It is shown here around the ‘Snaregade’ table with Norm Architect’s new ‘Bank’ opaline glass pendant above - all by Menu. 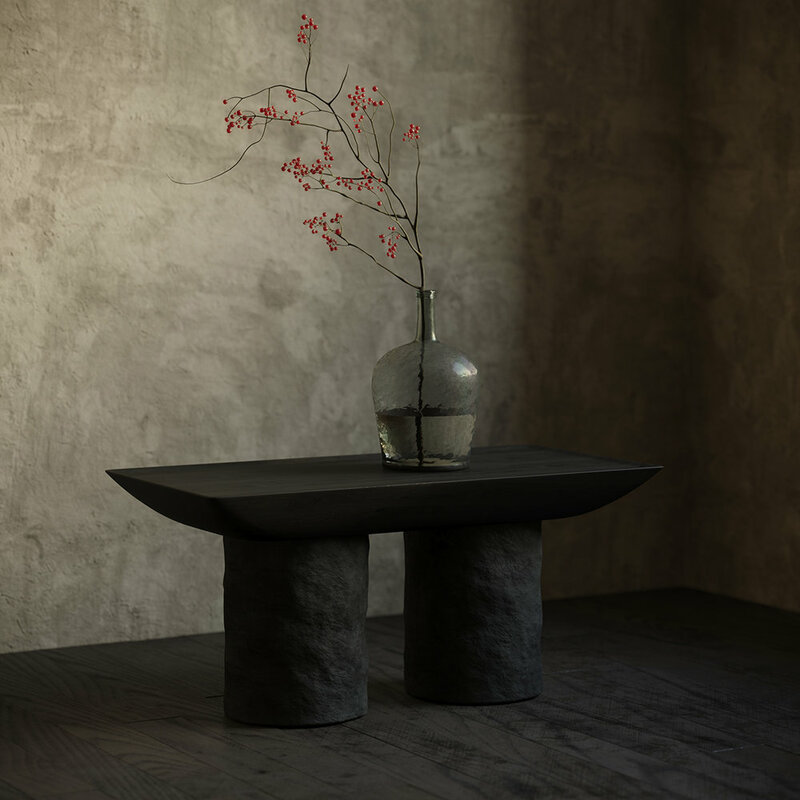 One of the best events at last year’s Stockholm Furniture & Lighting Fair was the launch of Ariake - a Japanese brand that fuses Japanese and Swedish aesthetics. Founded by two factories Legnatec and Hirata Chair, from the furniture producing town of Morodomi in Saga prefecture. The new brand was named after the Ariake Sea in Southern Japan. The word Ariake also means daybreak in Japanese and the connection to the two brand’s own creative renewal is highly significant. The brand has shared design work between European and Japanese designers for both their first two collections and the results have been spectacular. 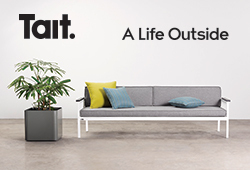 ‘Raft’ sofa by Keiji Ashizawa for Ariake. Photograph by Sebastian Stadler. This year Ariake again joined forces with My Residence magazine to preview the new collection within the walls of Fenix Palace - a former dance hall and entertainment palace in the centre of Stockholm. The interiors date from 1912 and provided an inspiring backdrop for the new collection. Shown above is the ‘Raft’ sofa by Keiji Ashizawa. Below is the ‘Outline’ bar stool by Norm Architects. Other new pieces included the ‘Carve’ chair and the ‘Dovetail’ barstool by Staffan Holm and the ‘Tawa’ barstool by Anderssen & Voll. The installation was curated by Hanna Nova Beatrice (editor in chief of My Residence magazine) and styled by Annaleena Leino. The ‘Outline’ chair by Norm Architects for Ariake now has a barstool variant (shown here with the ‘Taio’ side table by Anderssen & Voll). Photograph by Sebastian Stadler. Staffan Holm’s new ‘Carved’ chair with the Kadai table by Keiji Ashizawa and Anderssen & Voll’s ‘Paperwood’ side table - all from Ariake. Photograph by Sebastian Stadler. The ‘Tawa’ barstool by Anderssen & Voll for Ariake - more religious alter than barfly bar stool but oh so good! Photograph by Sebastian Stadler. In a similar aesthetic vein to Anderssen & Voll’s ‘Tawa’ barstool is an armchair by Australian designer Andrew Watts (shown below). The slab-like construction has something of a Donald Judd expression but manages to look quite comfortable - perhaps due to the soft radius applied to the edges of the arms and seat. Another design that embodies this honest aesthetic in pine is Daniel Svahn’s ‘Nest’ side tables shown here below Watts’ ‘Constant Variable’ armchair. The two designers met while doing their Masters degree in Interior Architecture and Furniture Design at Stockholm’s Konstfack University of Arts, Crafts and Design, and came together to show their works at an installation entitled Window Shopping during Stockholm Design Week. ‘Constant Variable’ armchair by Andrew Watts. Design daily is a big fan of the work of Swedish designer David Ericsson. His ability to design delicate looking but highly functional chairs is quite astounding. This year he presented a new bistro / kitchen chair for Swedish brand Gärsnäs. The design is highly refined in typical Ericsson fashion but has a simple everyday aesthetic that allows it to be as much at home in the kitchen as in a restaurant. ‘Hedda’ comes with a choice of seat materials - paper cord or Tärnsjö tannery leather and due to its arm style is able to be balanced on table tops for ease of cleaning. This of course is not a ground breaking idea of Ericsson as it can be found in past chair designs such as Hans Wegner’s PP58 for PP Møbler, but it is a very welcome attribute for restaurant staff. ‘Hedda’ chair by David Ericsson for Gärsnäs. The Gärsnäs stand designed by Nina Jobs and Pierre Sindre at Stockholm Furniture & Lighting Fair 2019. Matti Klenell’s extension table, ‘Ateljé’ was designed for the National museum’s new restaurant. The table is inspired by artists’ studios of the past and Leonardo da Vinci’s old models. The table is produced by Gärsnäs. The Nordic countries have a long history in textiles and rug making and while I could have done an entire post on handmade rugs from this region I have limited the mentions to commercially available examples from HEM and Kasthall. Kasthall has been making rugs since 1889 so it knows a thing or two about how to do it! This year the brand released several new rugs under the banner Soul of Nature. Kasthall released the playful ‘Feather’ rug with its tufts of perimeter wool that takes inspiration from the belly feathers of the penguin. The rug is made from 60% wool and 40% linen. The ‘Feather’ rug from Kasthall was inspired by penguin feathers. It’s quite extreme but you cant argue with its capacity to ground the furniture that sits within it! Its also a perfect play area for children……..think desert island, moon crater. Kasthall has released new subtle colourways for their well-loved ‘Arkad’ rug, naming the new version ‘Cubrick Icon’. Inspired by traditional woven textiles with their washed out, slightly faded look, the rugs combine a strict pattern with soft hues and the character that always comes with hand woven rugs. Kasthall’s ‘Terrazzo’ rug shown in two of the eight colourways. Each rug has a contrasting band at each end. Hem launched their first rug design at Stockholm with some beauties from French designer Pauline Deltour who contributed several designs to Italian brand Discipline before it was absorbed into the HEM group along side the Finish brand One Nordic Furniture Company. The ‘Rope’ rugs use three sizes of cotton rope woven together using a braiding technique to create a highly durable rug with unique patterns. 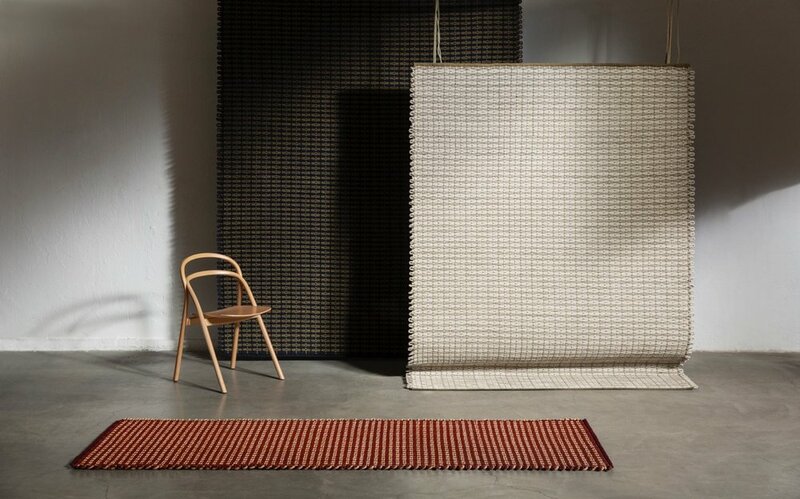 ‘Rope’ rugs by Pauline Deltour for HEM. Close up of Pauline Deltour’s ‘Rope’ rugs for HEM. Ukrainian brand Faina launched its first collection at Salone del Mobile in 2018 and has chosen to follow this up with a show at Stockholm in 2019. 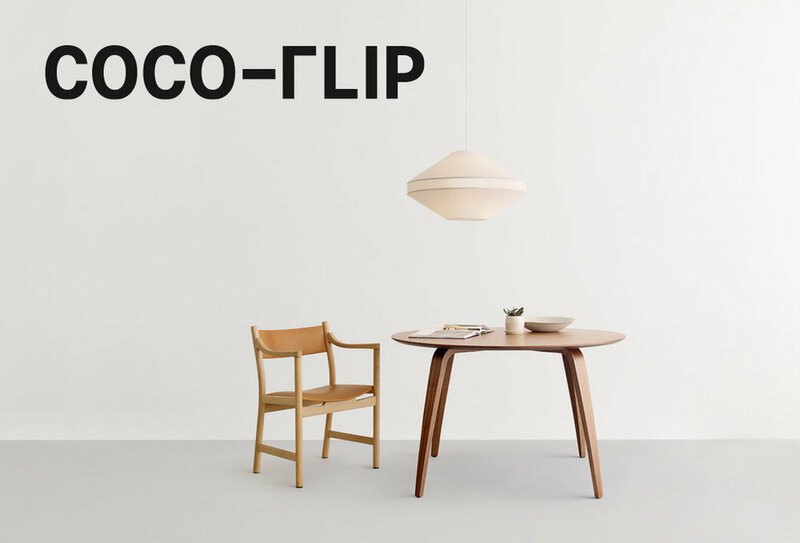 The brand combines a contemporary design sensibility with a touch of traditional Ukranian craft whether that be through hand-stitched details on cushions or wheel throw ceramic table bases. The ‘Korotun’ coffee table for Ukrainian brand Faina is made from solid wood with a base of hand worked clay. Swedish lighting company Wastberg has extended the David Chipperfield designed w102 range to include floor and wall versions. The extremely minimal design makes the transition to these new forms very nicely. Wastberg’s w102 floor light by David Chipperfield. 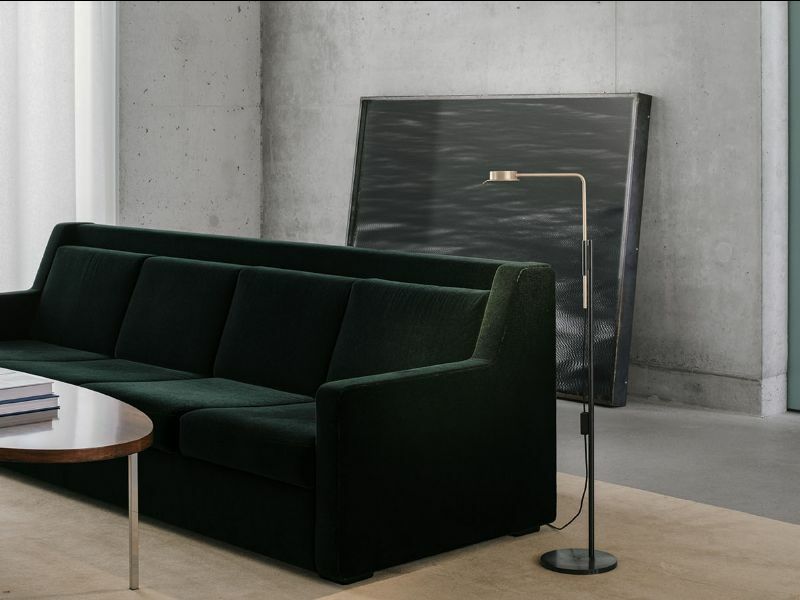 Wastberg’s w102 collection by David Chipperfield now includes wall and floor lights. 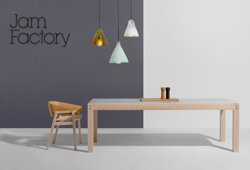 For the first time Stellar Works has taken a stand at the Stockholm Furniture & Light Fair and while for its debut it concentrated on establishing the brand’s design credentials by showing past items by a roster of renowned designers like Neri & Hu, Space Copenhagen and David Rockwell, they did launch one new product by Norwegian designer Hallgeir Homstvedt. His ‘Arc’ sofa is an “evolution of modern furniture design for commercial application in the public space”. Available as a stand-alone sofa or a modular one, ‘Arc’ is a curvy, cocooning design that is also available as a corner lounge seat. Hallgeir Homstvedt’s ‘Arc’ sofa for Stellar Works. Continuing on the theme of curved sofas could be dangerous territory as there were so many examples released at Stockholm this year - in fact Swedish brand Zilenzio released two! Zilenzio is a company that creates acoustic panels for walls and ceiling but now also large scale furniture pieces which incorporate some sort of acoustic treatment. The new new furniture products released at Stockholm Furniture & Lighting Fair this year were the ‘Focus Pod’ by Note Design Studio and ‘Tune’ sofa by Norm Architects. ‘Focus Pod’ by Note Design Studio for Zilenzio. 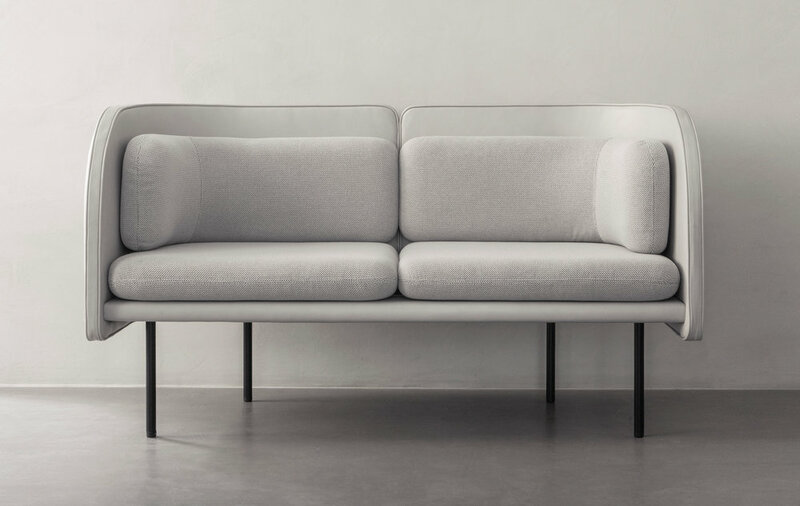 ‘Tune’ sofa by Norm Architects for Zilenzio.